What started as a family visit back in the summer 2014 turned into a jam session, and less than two weeks later the three members of The Melting Suns found themselves in a Southern California recording studio, recording what would become the “Black” E.P. A few weeks later, Summer ended and the band went back to their respective lives as High School students in California and Tennessee. That wasn’t the end of the band however, as the members continued to write music 2000 miles apart, keeping in touch via facetime, social media and playing video games. Summer of 2015 would reunite and reignite the band, this time around however, the boys would be armed with more songs, live shows booked in California (including the legendary Whiskey a go-go) and Nashville, and more studio sessions. The band wrote and recorded 14 new songs for an untitled new album that they were going to release. After careful consideration, the band decided not to release a new album and to rethink their future strategy.This would end yet another Summer, where the band would once again go their separate ways, return to school, and write songs together across the miles. The band is back together in 2016 – this time for good, writing new material and contemplating what their next musical release will be. With the addition of fourth member Aaron on keys and rhythm guitar, the band has never sounded better. New material is flowing daily, and soon there will be fresh music for everyone to enjoy. 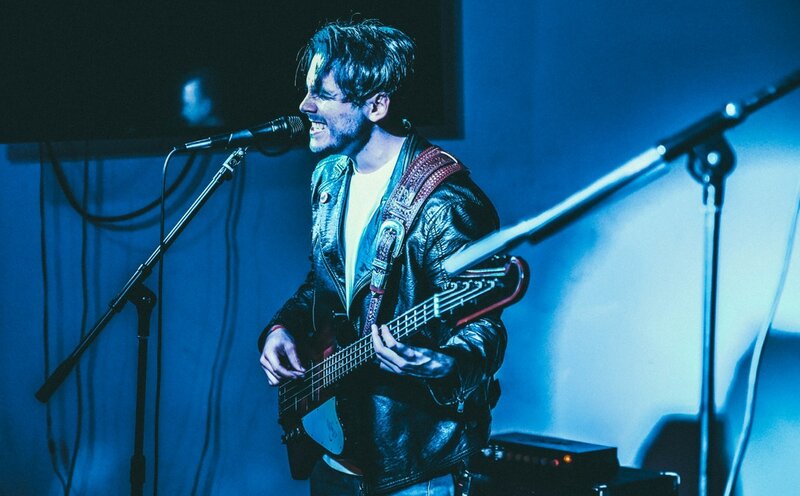 ​Jakob Cruz – Talkative and energetic, Jake is the voice and thundering bass player of the band. He met up with Zach a few years ago and the guys instantly hit it off and became friends. 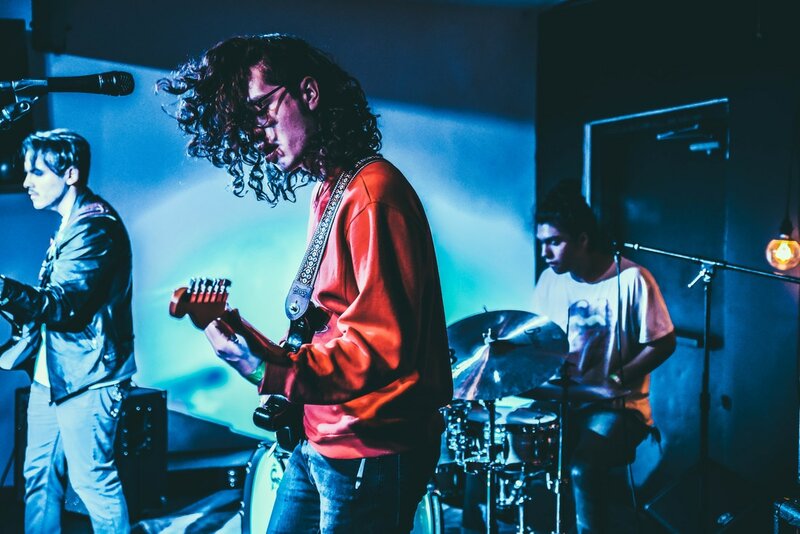 Heavily influenced by the likes of Noel Gallagher, and John Paul Jones, there’s no doubt music is in Jake’s blood “Its the one thing I can see myself doing for the rest of my life” he says “There is so much freedom in music, and it’s the one thing I do best. I’m not an Athlete, I’m not a Scholar, I am a Musician, creating music is what I do”. Spoken like a true musician. 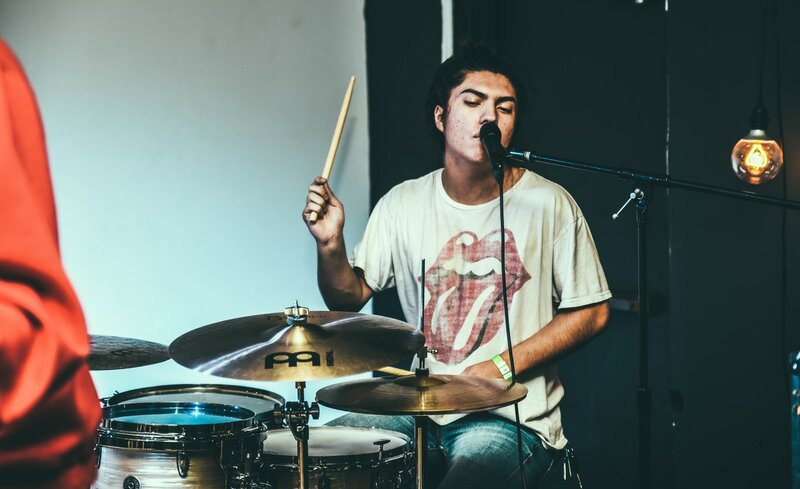 ​Zach Cardenas – There is probably not a time in Zach’s life that he remembers not being a drummer. He had a set of sticks in his hands before he was old enough to walk, and it shows in the way he makes every one of his performances look like playing the drums is easy. When asked what his favorite thing about playing music is, Zach ponders a moment, then sums it up in one carefully chosen word; creating. ​Anthony De La Rosa – When you first meet Anthony, he comes off as soft spoken and reserved, but behind that introvert exterior lives a performer. 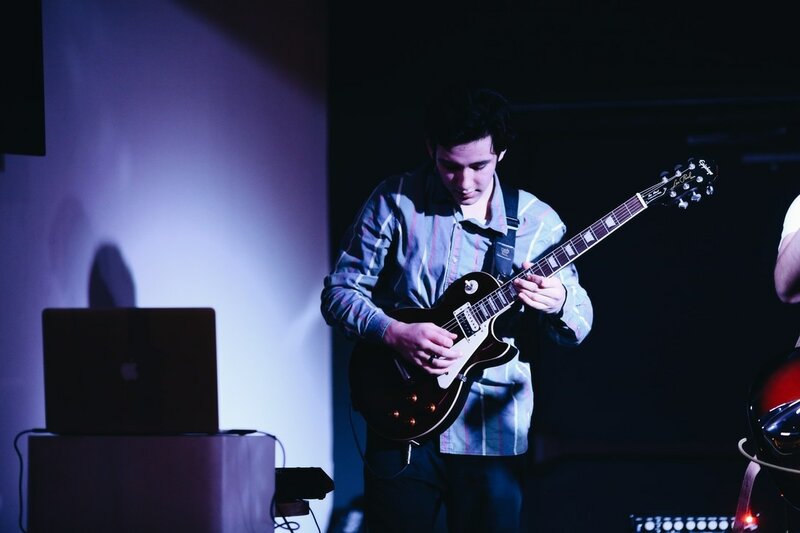 With influences as diverse as Jimmy Page, Randy Rhoads, and Jack White, Anthony’s playing style resonates with modern music fans, and is equally appreciated by those who grew up in the early Classic Rock era. The axe- slinger is a true music lover, and without hesitation says that his favorite thing about music is “Expressing my thoughts and sharing my world with people through 6 strings”. Aaron Stevens - A passion for music lives and breathes in Aaron. His creativity never ends, and his skills on rhythm guitar and keys have added a much needed fourth layer to the group.